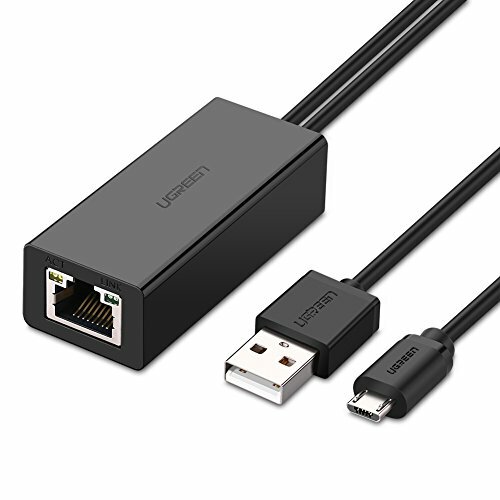 UGREEN Ethernet Adapter for Fire TV Stick (2nd GEN), All-New Fire TV (2017), Chromecast Ultra / 2/1 / Audio, Google Home Mini, Micro USB to RJ45 Ethernet Adapter with USB Power Supply Cable (3.3ft) by UGREEN at Pacs BG. MPN: 30985. Hurry! Limited time offer. Offer valid only while supplies last.